Kindness, hard work, volunteerism, and good deeds are all around us. We teach these values to our children, and remind them to say "thank you" and show appreciation. Let's set our own example! Gratitude Corner is a place to give a shout-out to those in the VFES community who have gone above and beyond. A special way to say thank you for making a difference! Have someone you want to thank? Click here to submit a Message of Gratitude! Thank you to the Socials Committee! Thanks so much to Alexis DiLullo, Davie Gregor, and Stacie Barry for a great Back to School social on Friday, September 14! It was a great turnout, everyone was happy to have a free Kona Ice (courtesy of the PTO) and the rain held off! Thank you to the PTO members who helped distribute tickets as well! Thank you to Kamila Jodzio! Thank you to Kamila Jodzio for once again decorating the school lobby! in addition, she decorated the poles in front of the school to make them look like colored pencils! The school looks fantastic, and we really appreciate your time and talent! Thank you to Nothing Bundt Cake! Nothing Bundt Cake was gracious enough to donate seven dozen bundtlets for our faculty luncheon on Wednesday, August 22, and we are so grateful! Erin and Mike Shine (a former VFES family) is excited to open Nothing Bundt Cake in the Gateway Shopping Center, right next to Starbucks, around October 15, and the preview cakes they offered our teachers at VFES were delectable! Be sure to support them when they open, and sign up to get a free bundtlet on your birthday at kingofprussia@nothingbundtcakes.com. A huge thank you to Doug Wilson for stepping in at the eleventh hour to help situate the Fall Clubs program! Clubs are a huge fundraiser for the PTO, so I am very grateful to your willingness to help us out in this jam! Thank you to everyone who helped with Pizza Bingo! Thank you to our two wonderful chairs -Phuong Ng and Beth Joers! Pizza Bingo was a great success thanks to your hard works and commitment! Thank you to all of our wonderful faculty who took time out of their Friday night to call Bingo for our VFES family! Finally, thank you to everyone who attended, and thank you to the PTO for sponsoring! Kudos to our PTO President! Kudos to Heather McConnell for always giving parents an opportunity to show appreciation for our amazing teachers and staff at VFES! With short notice, you went out of your way to share the energy and joy of our beloved Eagles’ National Championship as they head into the Super Bowl. As parents, it was so much fun to participate with you in bringing the “Soup”er Bowl Winter Luncheon and see how happy it made everyone at school. 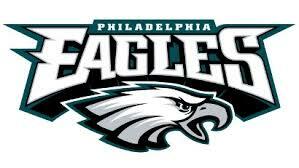 Fly Eagles Fly! From your grateful VFES parents!